As you may have noticed we haven’t made any sneak peeks of Pumpkin Town 8. Unfortunately due to Real Life Events we are not able to finance Pumpkin Town this year. As you probably know making an event like this is expensive and we never did it to win money but for all of US who love HALLOWEEN and having fun, so we are putting Pumpkin Town on Hiatus. We are very sad and hope to be back next year. We want to thank everyone who visited, participated, all the people with costumes (You made Pumpkin Town so much fun). All who IMed us with nice comments, People who took photos and videos, people who performed, Our merchants. And of course all your amazing tips who will be kept safely for next year. We love you and we will miss you so much. We are nominated for an Avi Choice Award!!! YAY!!! October 31, it will be a special day. The closing day. Sniff sniff! It was again a wonderful moment. Because of you! For this day, we are proud to announce that we are part of the great Creepy Crawl organized by Linden Lab. 10 places, 10 stops, will be visited in this Creepy Crawl. 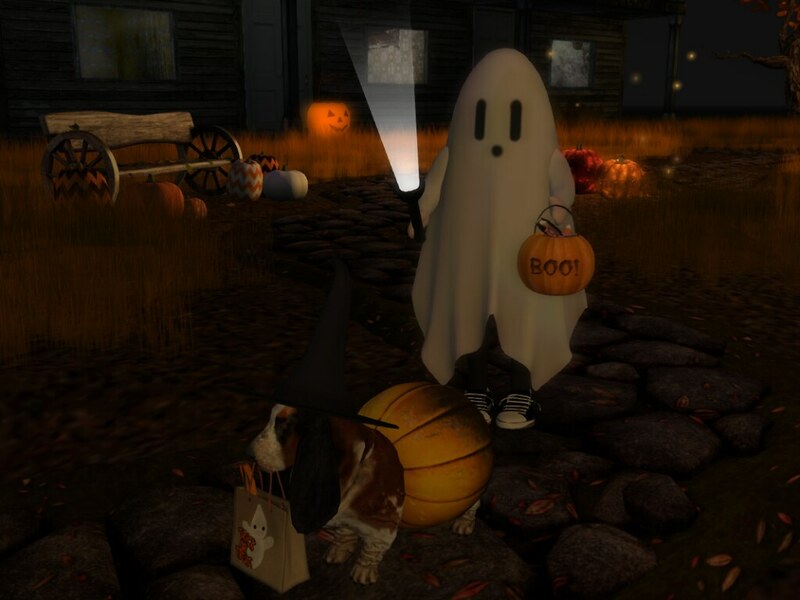 An intersim Halloween Event! And each stop will have a djset, live performance, or something else. 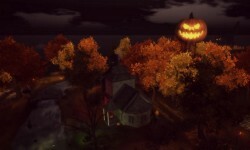 A really nice Halloween event! 12 PM : DJ TayTay, the Pumpkin Town Queen. The creator of Pumpkin Town! Don't miss this particular day! We will regularly suggest you a shop that is installed on Pumpkin Town. Are you looking for a new pet? But for you, cats and dogs are soooo boring? So why not a little ghost? 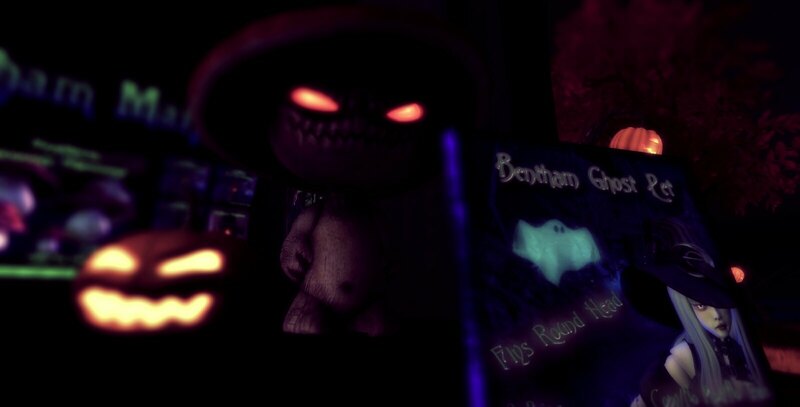 Bentham Manor, like all creators who are on the sim, give a freebie in their shop, and put a gift in a skull. To find in Pumpkin Town! 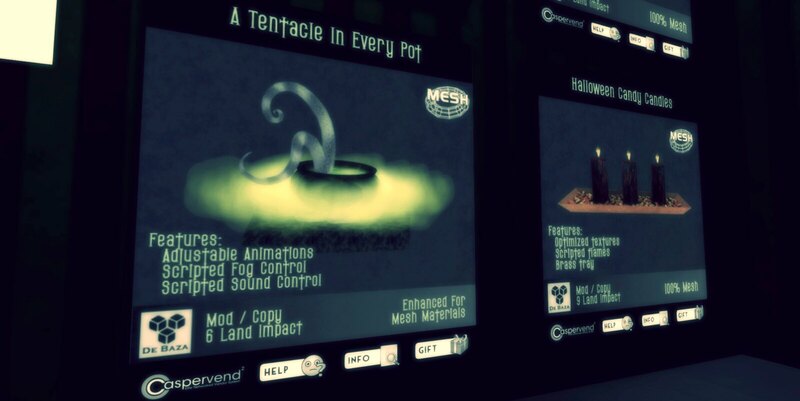 We are proud to announce that we are part of the great Creepy Crawl organized by Linden Lab. At october 31, from 10 AM to 3 PM SLT. Moreover, in each stop, you will find a gift. A cute creation from Boudoir! Ho! And there is also a Costume Contest! Wear you more crazy, spooky Halloween costume. And try, in each spot to win 5000 L$! In Pumpkin Town, for this amazing event, CellShader will take the control of the stream for a live performance! We found a bed for pumpkins! Impertinences, like all creators who are on the sim, give a freebie in their shop, and put a gift in a skull. To find in Pumpkin Town! De Baza, like all creators who are on the sim, give a freebie in their shop, and put a gift in a skull. To find in Pumpkin Town!